When the left encounters an opposing argument, they can merely attack the “privilege” of those voicing it without addressing the argument. If you ask women why men are privileged, you’ll probably hear the bogus wage gap statistic parroted around. Some more sophisticated feminists may point to the under-representation of women in upper level management (but they never seem to complain that over 99% of garbage collectors are men.My personal favorite is when they’ll point out that “white men” dominate politics. Woman make up the majority of registered voters – do they want us to thank them for voting us in? 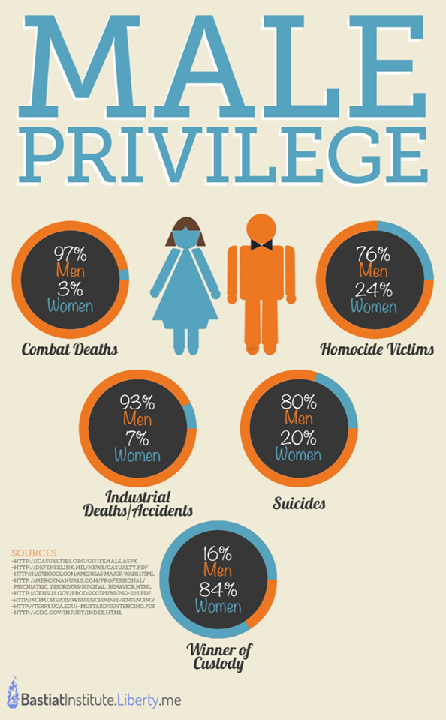 Next time you’re in a debate with a feminist, remind them to check their privilege. The Analytical Economist is a freelance financial, political, and economics writer. His work has appeared in a variety of publications, including National Review, the Foundation for Economic Education, Ludwig von Mises Institute, among many others.